*UPDATE* October 18th: I have gotten the ESPixelStick v3.0rc2 firmware to compile and load, and am no longer using the original code below. I will leave it up as it may still be of use to others. Special thanks/shout-out to Bill Porter and Shelby Merrick for their assistance in getting it to compile. In previous years, I’ve had to run a fairly long length CAT5 cable from my computer inside the house, out to my controllers. This was always a pain to setup each season because of the route I have to take; basically halfway around the house, through a crawlspace, then the basement and finally up through the floor to my show computer. I needed to come up with an easy, cheap solution to eliminate this cable entirely. After researching for a while I came upon a project called the ESPixelStick by Shelby Merrick. 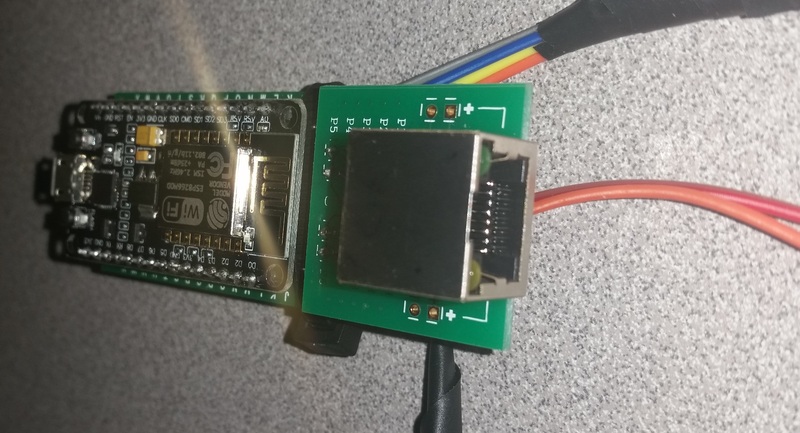 His design uses a basic ESP8266 wifi module to receive E1.31 DMX data, and then translates it into one of many other formats, mainly for RGB LED pixels/strips (WS2811 or similar). In later software, it appears that he added the ability to output raw DMX instead of translating into pixel protocols, as I planned on using this device with 2 Light-O-Rama controllers (CTB16PC). 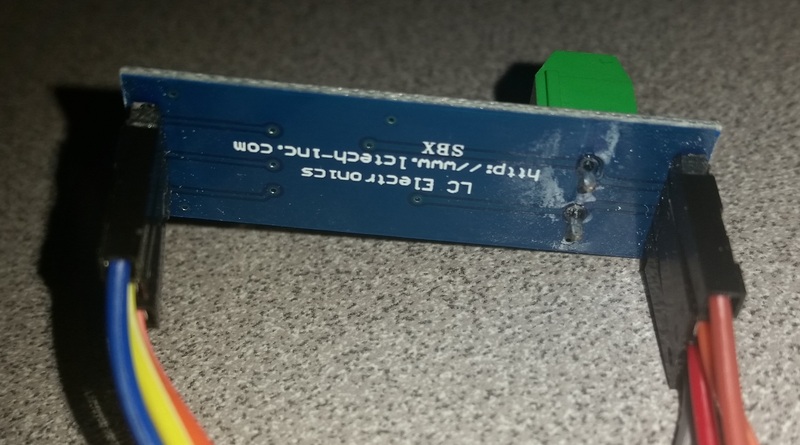 His design led me to look into the Espressif WiFi modules further. 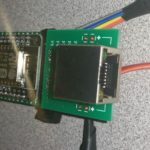 Espressif has several WiFi modules on the market, with a builtin microcontroller which is able to run some code on board. There is also a library/toolset available to integrate these right into the Arduino IDE, which makes them extremely easy to program. 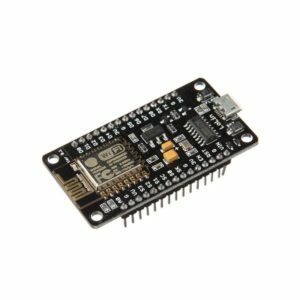 After doing some more research I ultimately settled on using a NodeMCU development board, which utilizes an ESP-12 from Espressif, and has built-in power regulation (it can run from 5 to 14 volts DC). I have used these boards before for several IoT (Internet of Things) projects, and am comfortable/familiar with them. 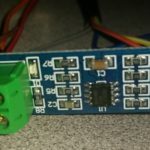 This board can be found on eBay from several foreign based vendors for under $5. 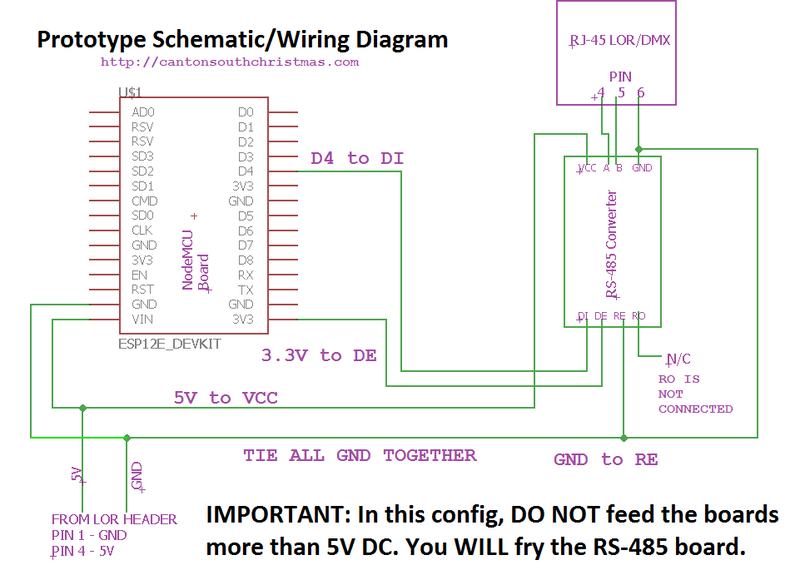 I also found some RS-485 converter modules on eBay for around $3, these will be needed to convert the data from the NodeMCU board to standard DMX 512 data, which is a protocol that uses the RS-485 standard; as well as an RJ-45 jack module, since I planned on using this with my Light-O-Rama controllers. Developing the code was fairly easy, thanks to the availability of arduino libraries from several sources. Without those libraries, this project would have taken a lot longer to put together. Ultimately, I came up with the following code, which works great, although I am still considering it a Beta version. If you end up using this code/project, and discover any problems, please shoot me a message. The final prototype hardware was put together like this. I do have plans to re-design the hardware down to the board level, adding some voltage isolation, and eliminating all the loose wires. 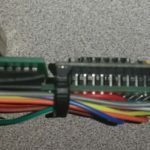 The final version will have both an RJ-45 as well as screw terminals for DMX out, and screw terminals for 5V DC power in. 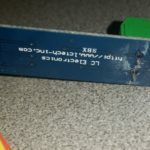 When completed, I will update this post to include links to OSHPark to order the boards, and either DigiKey or Mouser to order the component bill of materials. This hardware/code is theoretically able to handle up to 512 channels (1 full DMX universe). I have only tested it using 32 channels, 2x 16 channel LOR CTB16PC boards in daisy chain config. 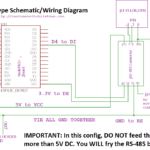 You may or may not require a resistor at the last board/device on a daisy chain to eliminate interference. 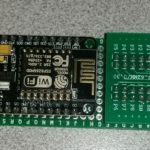 This entry was posted in Blog and tagged arduino, diy, dmx, dmx512, e1.31, e131, esp8266, light-o-rama, lor, nodemcu, open hardware, open source, wi-fi, wifi. Bookmark the permalink.